Maybe it is already too late. 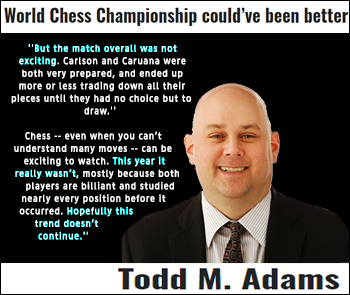 Todd M. Adams is a typical, respected sports journalist in America, and as with any non-player journalist, his impressions are all that more important. Because the public perception of the 2018 World Championship match is what is going to chase away prospective sponsors of the game. The best way to kill a chess player?